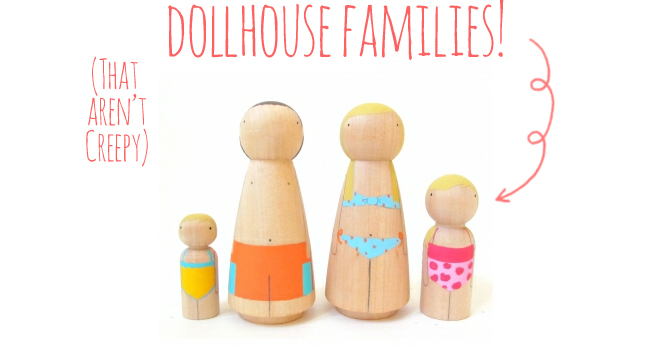 Aren't these wooden dollhouse families just adorable?! I've been working on Violet's dollhouse the past couple of days (painting dollhouse trim is just the worst!) and came across these super cute wooden families online. I think they'd be a really fun DIY that you could easily personalize. You can find all three families here. We're at the zoo today - hopefully I'll have some fun pictures to share with you!